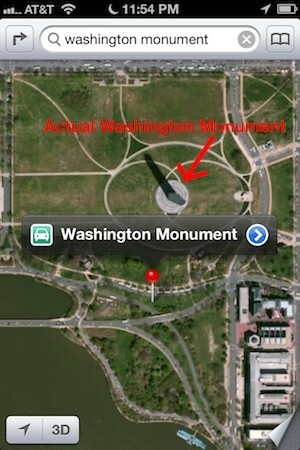 News Apple says it's 'just getting started' on Maps for iOS 6, are you willing to wait? Discussion in 'News & happenings' started by RajaPraveen, Sep 21, 2012. Now that iOS 6 has arrived on Apple tablets and phones, users at large are getting their hands on the company's new Maps app for the first time only to find at least a few things out of place. The lack of navigation for public transportation was a known limitation going in, but misplaced landmarks, geographical oddities and suddenly blank areas where Google Maps had an abundance of tags (all being cataloged by The Amazing iOS 6 Maps Tumblr, as seen above) have some users bristling. A spokesperson for Apple tells All Things D that it expects things to improve as more people use Maps (check out the entire statement after the break), but is that enough? Hit the poll selections below to let us know if the new experience is truly a move in the right direction. I thought Apple believed in giving the Customers the full final and finished product.. whats next Apple Web Search ? I think it's just the sheer amount of initial excitement hype and attention focussed on the launch that has had people overblow the map issues. Eventually Apple will get it right & knowing them, they'll prolly get it near darn perfect. It's a tad unfair to have a direct comparison because this is after all a new 1.0 version of an application with zero public use time against Google Maps which has been around for quite a while. I just think people need to be balanced when blasting apple over the maps app. Besides, is Google maps not going to be available for iphone off itunes as a separate app? as of now .. NO.. u have to use it through the Online Browser version which is sad..